The Service, the Site, and all information and/or content that you see, hear or otherwise experience on or download from the Site, including without limitation all design drawings and product specifications, (collectively, the “Content”) are protected by U.S. and international copyright, trademark and other laws, and belong to Value or its affiliates, licencors, contributors or third parties. The design drawings and product specifications are the exclusive property of Value. You may use the Site, the Service and the Content solely for your personal or internal, non-commercial use. You may download, print and store portions of the Content that you select, provided that you: (1) only use these copies of the Content for your own personal, non-commercial use; (2) do not copy or post the Content on any network computer or transmit, distribute, publish or broadcast the Content in any media; and (3) do not modify or alter the Content in any way, or delete or change any copyright or trademark notice. No right, title or interest in any Content is transferred to you, whether as a result of downloading such Content or otherwise. Value reserves complete title and full intellectual property rights in all Content. VALUE MAKES NO EXPRESS OR IMPLIED WARRANTIES, REPRESENTATIONS OR ENDORSEMENTS WHATSOEVER WITH RESPECT TO THE SITE, THE SERVICE OR THE CONTENT. VALUE EXPRESSLY DISCLAIMS ALL WARRANTIES OF ANY KIND, EXPRESS, IMPLIED, STATUTORY OR OTHERWISE, INCLUDING, BUT NOT LIMITED TO, IMPLIED WARRANTIES OF MERCHANT-ABILITY, FITNESS FOR A PARTICULAR PURPOSE, TITLE AND NON-INFRINGEMENT, WITH REGARD TO THE SITE, THE SERVICE, AND THE CONTENT. VALUE DOES NOT WARRANT THAT THE FUNCTIONS PERFORMED BY THE SITE OR THE SERVICE WILL BE UNINTERRUPTED, TIMELY, SECURE OR ERROR-FREE, OR THAT DEFECTS IN THE SITE OR THE SERVICE WILL BE CORRECTED. VALUE DOES NOT WARRANT THE ACCURACY OR COMPLETENESS OF THE CONTENT, OR THAT ANY ERRORS IN THE CONTENT WILL BE CORRECTED. THE SITE, THE SERVICE AND THE CONTENT ARE PROVIDED ON AN “AS IS” AND “AS AVAILABLE” BASIS. a. Third Party Links. Hypertext links to third party Web sites or information do not constitute or imply an endorsement, sponsorship, or recommendation by Value of the third party, the third-party Web site, or the information contained therein, unless expressly stated on the Site. Value is not responsible for the availability of any such Web sites. Value does not endorse or warrant, and is not responsible or liable for, any such Web site or the content thereon. b. Downloading Files. Value cannot and does not guarantee or warrant that files available for downloading through the Site will be free of infection by software viruses or other harmful computer code, files or programs. The entire risk as to the quality and performance of the Site and the Service and the accuracy of the Content is solely and exclusively with the user. BECAUSE SOME STATES DO NOT ALLOW THE EXCLUSION OR LIMITATION OF LIABILITY FOR CONSEQUENTIAL OR INCIDENTAL DAMAGES, SOME OF THE ABOVE LIMITATIONS MAY NOT APPLY TO YOU. IN SUCH STATES, VALUE’S LIABILITY IS LIMITED AND WARRANTIES ARE EXCLUDED TO THE GREATEST EXTENT PERMITTED BY LAW, BUT SHALL, IN NO EVENT, EXCEED FIFTY DOLLARS ($50.00). You understand and agree that you are personally responsible for your behavior on the Site. You agree to indemnify, defend and hold harmless Value, its parent company, subsidiaries, affiliated companies, joint ventures, business partners, licencors, employees, and agents from and against all claims, losses, expenses, damages and costs (including, but not limited to, direct, incidental, consequential, exemplary and indirect damages), and reasonable attorneys’ fees, resulting from or arising out of your use, misuse, or inability to use the Site, the Service, the Content, any third party software or any violation by you of this Agreement. You agree not to take any action that might compromise the security of the Site, render the Site inaccessible to others or otherwise cause damage to the Site or the Content. You agree not to use the Site in any manner that might interfere with the rights of third parties. If you supply or post any information or material via the Site, you guarantee to us that you have the legal right to supply post such material, and that it will not violate any law or the rights of any person or entity. By supplying or posting material via the Site, you give Value the royalty-free, irrevocable, perpetual, worldwide right to use, distribute, display and create derivative works from this material, in any and all media, in any manner, in whole or in part, without any restriction or responsibilities to you. 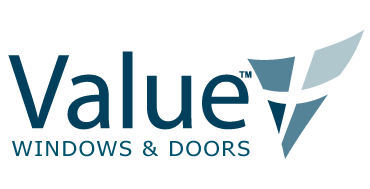 Click to see Value’s Privacy Statement. b. Correction of Errors and Inaccuracies. The Content may contain typographical errors or other errors or inaccuracies and may not be complete or current. Value therefore reserves the right to correct any errors, inaccuracies or omissions and to change or update the Content at any time without prior notice. Value does not, however, guarantee that any errors, inaccuracies or omissions will be corrected.